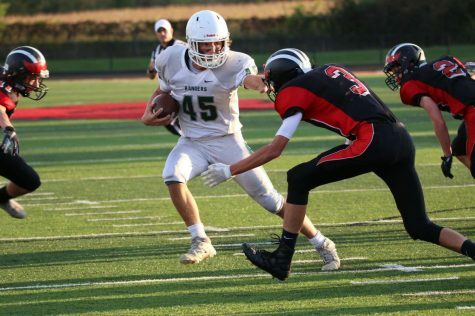 Led by the offensive explosion from senior Luke Majick, the Rangers dominated East Grand Rapids from the beginning and never took their foot off the gas. After a slow start, Luke’s 5 goals and 5 assists pushed the game way out of reach from the Pioneers. Luke had his best game of the season at the best possible time. Throughout the first four minutes of the game, neither team was creating much on offense. At the 8:05 mark, Luke broke the deadlock with a long distance shot from twenty yards out that EGR goalie Chase Fisher simply couldn’t save. After another four minutes of few chances, senior Tate Hallock doubled the lead with a goal in front of the net. To end the first quarter, the Pioneers scored their first of the game with a minute left, but that goal was quickly canceled out by a goal from junior Jackson Clay 30 seconds later. 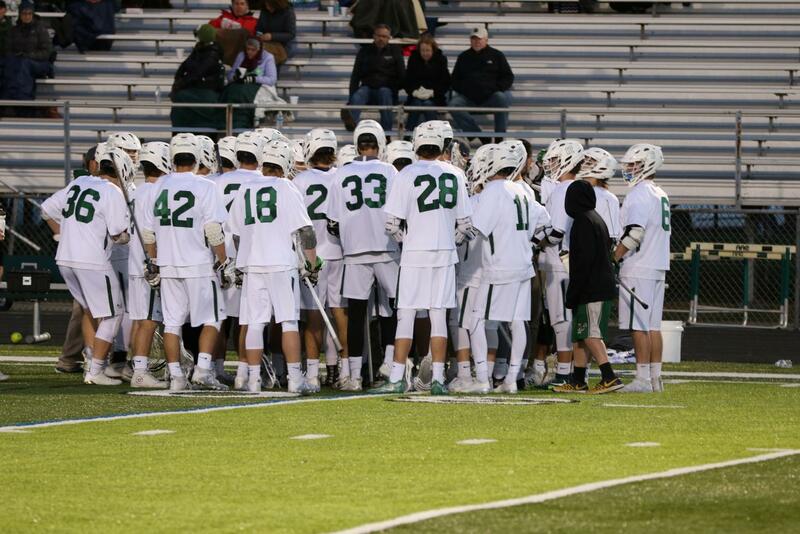 Starting off the second quarter, East brought the game back to a one-goal deficit within two minutes. Once again, however, the Rangers had a quick answer as Luke scored his second of the game from 15 yards out on the left wing. To end the half, the Rangers went on a huge run. After being up only one goal two minutes into the second quarter, the Rangers ended the half leading by a whopping 7 goals with a 9-2 lead. Jackson started off the run with a goal via Tate’s assist, who beat three defenders, drawing the Pioneers out and creating space for Jackson who finished the play with a goal. Only a minute later, Tate scored one himself with a rocket from 15 yards out, bringing the lead to 6-2. Luke recorded his first assist of the game when sophomore Carson Deines scored and then his second when senior Evan Metaj’s shot hit the back of the net to increase the lead to 8-2. At the half, the Rangers led EGR 9-2. A key part of the wide margin of victory was the improvements made on the defensive side of the ball. After allowing 12 goals in against Saline on Tuesday, the coaches stressed communication defensively ahead of the clash against EGR. Along with the improvements made communication-wise, the defense simply defended well. Jack Nolan was incredibly hard-to-beat in the net, making 10 saves on the night as well as clearing the ball efficiently throughout the night. Another bright side on the defensive side of the ball was the emergence of senior Riley Murphy, which earned some high praise from head coach Andy Shira. In the second half, East showed signs of a comeback early on with a goal one minute into the half. However, merely ten seconds later, Tate scored and brought the Pioneers back to reality. Tate continued his involvement in the goals, assisting Jackson four minutes later to make the lead 11-3. 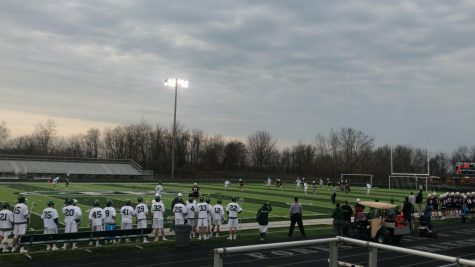 After an unreleasable penalty was awarded to Jackson, the Pioneers played with a man advantage for two minutes and scored, but they were once again quickly answered by the Rangers; junior Hayden Sarjeant scored to grow the FHC lead to 12-4 at the end of the quarter. The brilliant offensive flow continued from the Rangers in the fourth, as they went on to score 5 goals in the final quarter. 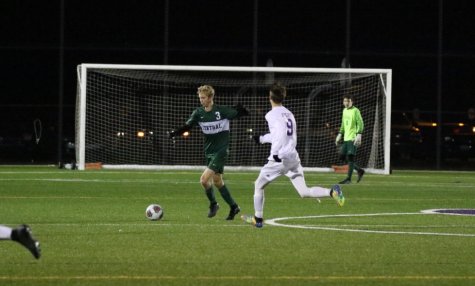 A minute into the quarter, Luke went on a thrilling solo run, beating his defenders left-and-right and burying his shot into the back of the net, all while the Rangers were a player down. Luke’s play summarized the game well, as the Rangers dominated from start to end while making some stunning plays. 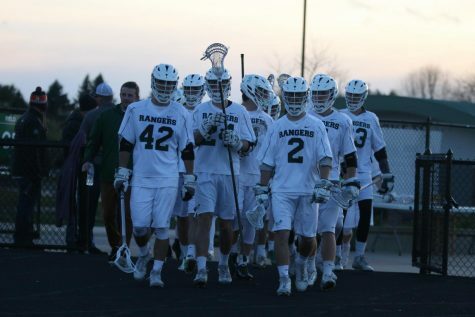 The Rangers went on to close the game out, only allowing 1 goal to be scored by EGR in the fourth quarter. 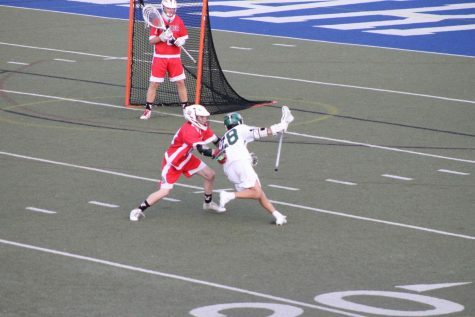 The efficient offensive performance resulted in stat-filled games for both Luke and Tate, as Luke racked up 5 goals and 5 assists, while Tate scored 3 and assisted 6. After losing to the Pioneers in last year’s State Championship game, this win over EGR meant a lot for the team moving into the meat of the season. With this win, the Rangers move to 4-0 on the season. Next up for the Rangers is a matchup against Hartland on Saturday, a team that is rolling offensively against east-side opponents. 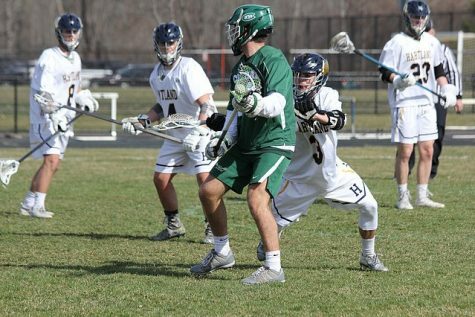 This game is being hyped up in Hartland as one of the biggest games in their lacrosse program history, and the Eagles will be more than motivated for the matchup.